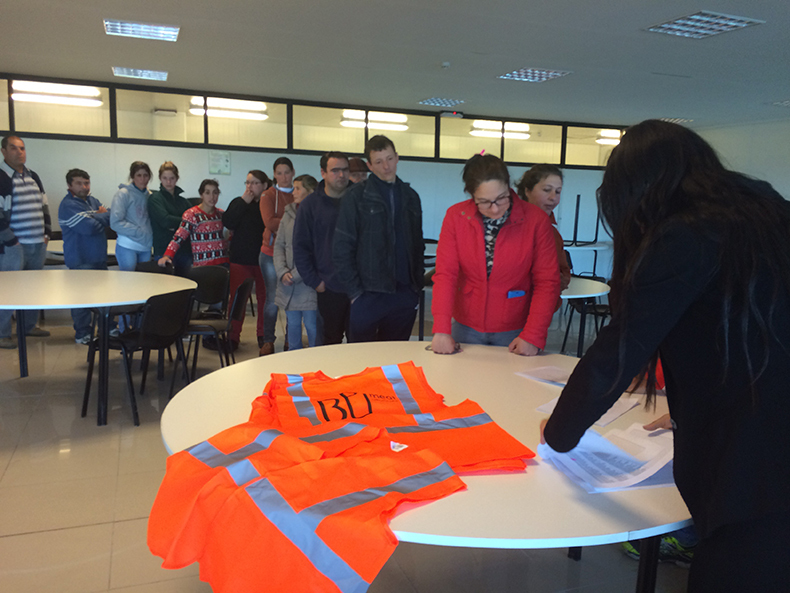 The establishment of road safety measures, in order to protect the whole BPU team, is set as high priority for the company. 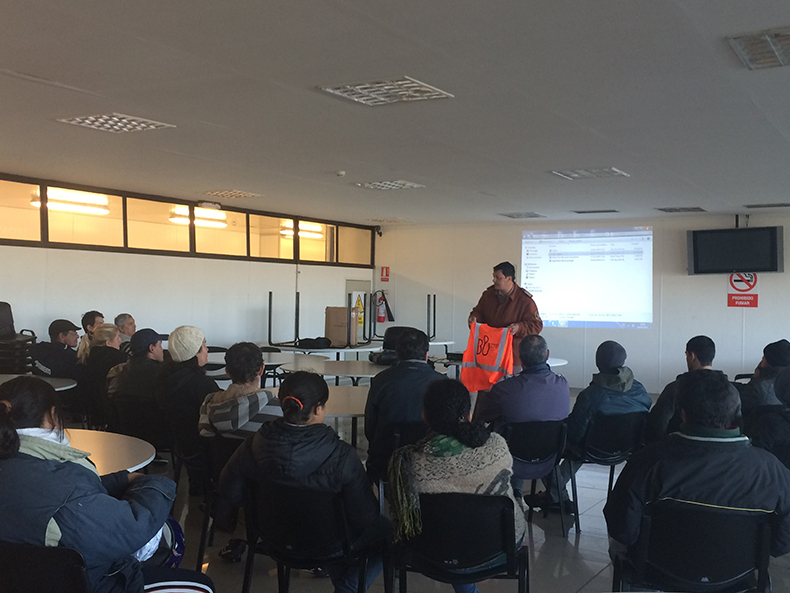 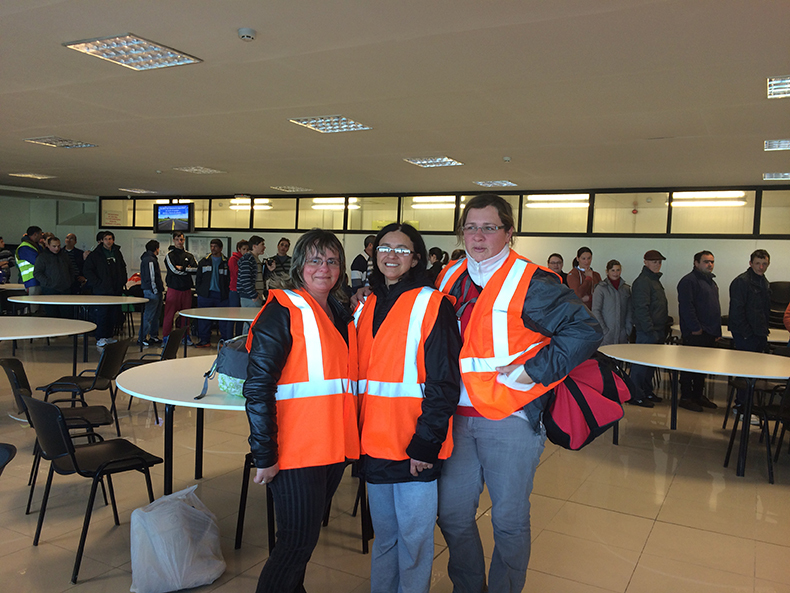 That is why, in cooperation with Highway Patrol, we are working on the staff education on road safety, imparting lessons and handing in a reflective vest to each member of the company, which is mandatory by law 19.061. 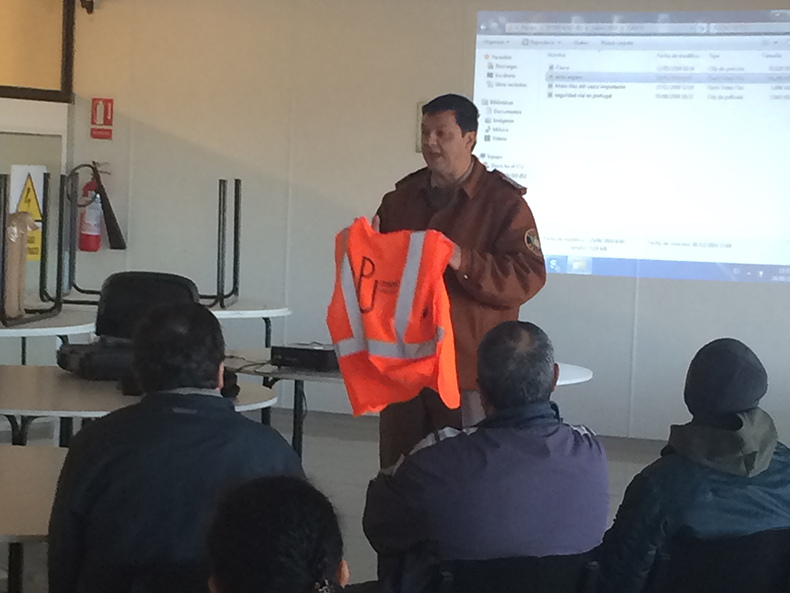 El jefe de Policía Caminera Horacio Oliva destacó la importancia del uso de chalecos reflectivos.